The role holder is responsible driving a Diversity & Inclusion (D&) strategy for the UK & ME region that helps attract, retain and develop diverse talent. The successful candidate will have a high profile within the firm and be seen as the subject matter expert in this area. They will be the key point of contact for all D&I matters and provide insight to the HR Director, CEO and MD to drive things forward. 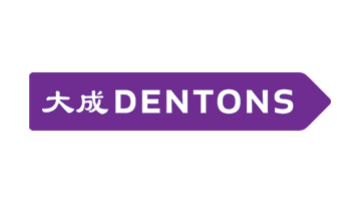 The role holder will ensure the Dentons brand as a high profile in the legal and professional services market for the work we are doing to support D&I. He or she will have exceptional interpersonal skills with the ability to network effectively, build relationships within the firm and the ability to influence change. They will be a strong team player who will work with their HR colleagues to ensure D&I is embedded in our processes and activities. In particular Recruitment and Learning & Development (L&D). They will have a proven & successful track record of driving D&I within professional services (ideally within a Partnership environment). Support the work being done by the firm's women's network, "Inspire". Drive comprehensive programme to ensure the gender target of 30% by 2020 is achieved. Work with Head of L&D to ensure all L&D programmes have a gender balance and content to support D&I. Ensure we aligned with market approaches to agile working to support working families. Identify and introduce programmes to support gender diversity. Manage the 30% club mentoring programme within the firm. Be a key regional point of contact for the global roles to drive advancement of Women in the firm and support any initiatives they are driving forward. Support the work being done by GLOW Network. Ensure our HR processes are compliant with best practice in this area. Support the completion of the Stonewall Top 100 survey. Support the work being driven by the Black Professionals Network. Create opportunities to build alliances with external organisations to open up law as a career for young black people. Support the work being driven by the Asian Professionals Network. Create opportunities to build alliances with external organisations to open up law as a career from a wide range of social backgrounds. Continue to evolve the Legal Apprenticeship scheme within the firm. Continue to build in the "My Healthy Balance" programme to ensure we retain momentum. Look at new opportunities to drive Health & Wellbeing within Dentons. Ability to demonstrate awareness and understanding of all aspects of diversity: cultural, ethnic, racial, religious, gender, age, sexual orientation etc. A team player who can motivate and educates others is able to create and motivate behavioral change.